I was drawn to Conscious Capitalism because as a business owner I believe that while it is important to make a profit to stay in business and provide income for our staff, it is not the only thing that matters. Being a member of Conscious Capitalism is a natural fit for us a Wealth Management firm that specializes in managing sustainable and socially responsible investment portfolios. Its refreshing to attend the meetings of the San Diego Chapter of Conscious Capitalism to meet and work with other like-minded business owners that also agree with the notion that values-based leaders and companies can contribute positively to the world and their community. Conscious businesses focus on their purpose beyond profit. Higher purpose: Businesses should have a purpose that is greater than simply making money to energize stakeholders in the business. Stakeholder orientation: A business needs to create value for all stakeholders (customers, employees, suppliers, investors, and their communities). Conscious leadership: Companies need inspirational leaders to encourage their workers to work for a greater goal. Conscious culture: The values, principles, and practices that guide a business should create an atmosphere of success for everyone. A Conscious Culture fosters love, care, and inclusiveness and builds trust amongst the company’s team members and all its other stakeholders. Conscious Culture is an energizing and unifying force, that truly brings a Conscious Business to life. and the list keeps growing of great companies that are led by Conscious Capitalists that will show the world that you can make a profit and not sacrifice your values. Two founding members of the San Diego Chapter of Conscious Capitalism, Malcom Avner & Kori Joneson, shared with me why they started the San Diego chapter and what attracted them to the movement. When I asked Malcolm what attracted him to the Conscious Capitalism movement this is what he shared with me. “I have experienced companies that were demoralizing and dehumanizing, and others that were inspiring and gratifying. The difference had nothing to do with the business and everything to do with the leaders. As a result of my experiences, and as a way to express my higher purpose, I have committed my career to helping leaders perform to their potential, so they become empowered improve the lives of employees, customers and investors. Kori had a similar reaction as Malcolm when she found out about Conscious Capitalism after completing her college education and studying businesses. "I think receiving an International Business undergrad degree, a Global MBA through Thunderbird School of Global Management, and interactions with business leaders in the world, helped me see the good, bad, and in between in business. It helped me see how connected everything is. Combined with exposure and curiosity I had about sustainability/Corporate Social Responsibility (CSR), I believed there was opportunity businesses had to really help solve world problems and fill in the gaps missing by government and other entities. In this journey, I somehow came across the Conscious Capitalism book and it all clicked for me. When I moved to San Diego, I was looking for a way to connect with my new community. Luckily, I came across Malcolm and he encouraged me to get involved as a founding member of the San Diego Chapter. I haven't looked back since. Through the love and passion from this volunteer board, we hope to support San Diego in becoming an environment where businesses can create great impact in the world and thrive because they are doing so." "I work in what we call the human strategy space. We help organizations better understand the experiences of their people and customers. Research has shown that the people who serve your company are your most important stakeholders (Stakeholder Orientation tenet). 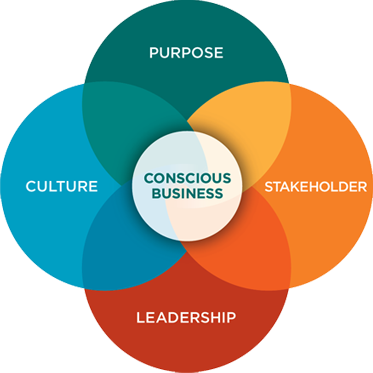 How leadership supports them (Conscious Leadership tenet), how they connect to the organization's purpose (ideally a Higher Purpose), all influence the company culture (Conscious Culture). The people in your organization will impact the relationships, effectiveness, and value creation of the rest of your stakeholders as well. Organizations that integrate and understand how to best engage, challenge, and support their people are able to adapt, grow, and experience long-term success. This holds true for the 5 person start-up or the global company with thousands of people. It's hard work, but worth it." For more information on Conscious Capitalism check out https://www.consciouscapitalism.org/ or better yet come to a meeting with me. If you are not in San Diego I can help you find a chapter in your city. 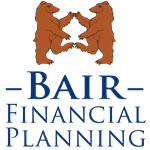 WCG Wealth Advisors, Bair Financial Planning and LPL Financial are not affiliated with any of the above named individuals or entities.